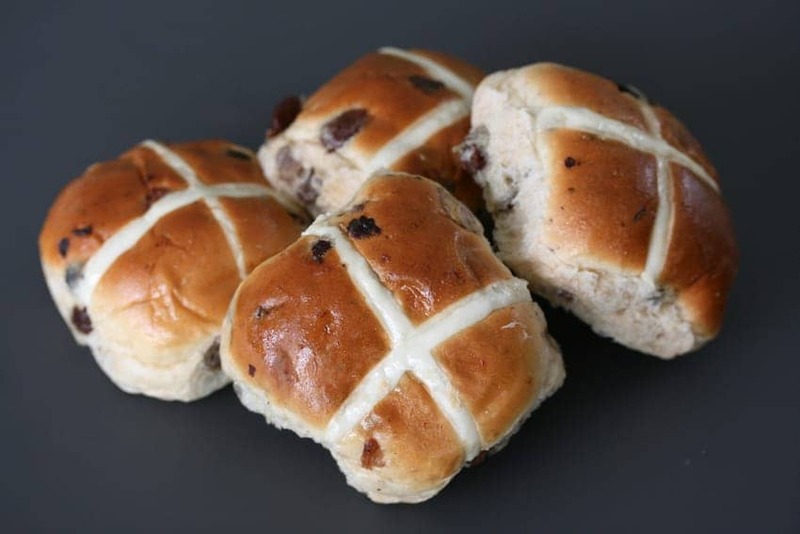 Hot cross buns are a spiced sweet bun made with currants or raisins and traditionally mark the end of Lent and eaten on Good Friday in the UK as well as Ireland and other countries. The cross on the top represents the crucifixion of Jesus and the spices inside remind Christians of the spices put on the body of Jesus. In Elizabethan times, the sale of these buns were banned except on specific occasions, and so they tended to be home made. These days you can find them on sale most of the year! Excellent served toasted with butter.